Bored with your apps, looking for something new? 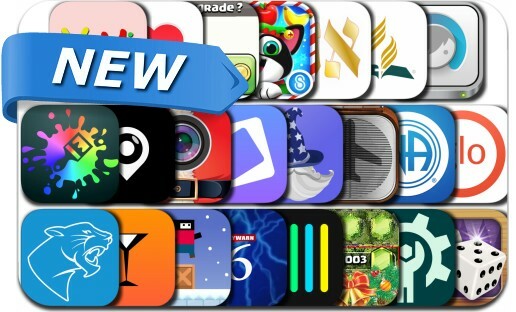 Check out these 23 iPhone and iPad apps that were just released. This new apps alert includes MetaHuman Inc., Impossible Journey, Viber Backgammon, Noise 5D, Overpainted, Santa Clause Photo Editor, AppyHour, Like Booster Free for Instagram, Easel - Bring quotes to life, PhotoWhere and many others. Jump! Jump! Jump across 3 dangerous worlds full of enemies. Find the magic boots to jump high in the air! An awesome jet pack is waiting for you to fly with style. Can you complete this Impossible Journey?